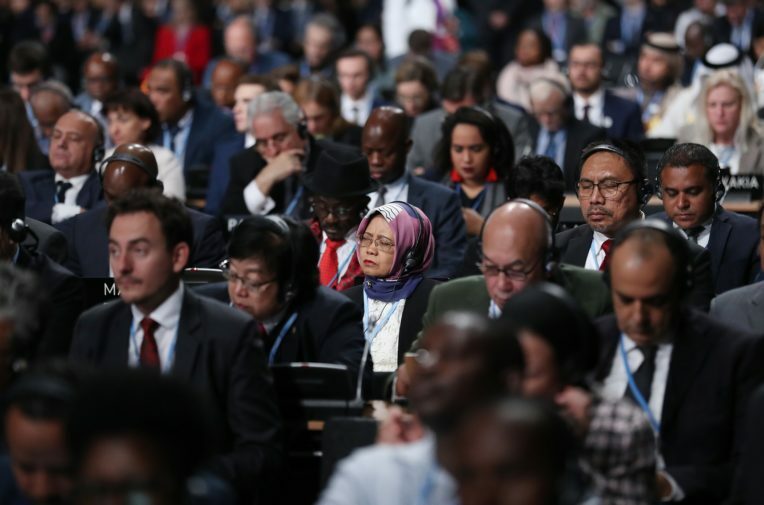 “The spirit of Paris seems to have vanished a little.” That’s the opinion of Ilka Wagner, deputy head of the German delegation at COP24. Now three years later in Katowice, a city the heart of Poland’s coal country, it’s clear that the world has changed. Populism is on the rise across the world and with it, the spirit of cooperation that permeated COP21 appears to be fading. A report published on Tuesday by the Irish think-tank the Institute of International and European Affairs warned that the policies of US President Donald Trump are “acting against the momentum which the Paris Agreement on climate change hoped to generate”. In other words, the “Trump effect” is slowing climate action. To emphasise that point, Global Carbon Project reported this week that CO2 emissions will climb to an all-time high in 2018. For Germany and the EU, the test now is to keep hold of what’s left of the coalition that established the Paris agreement and build on what was agreed in 2015. The point of Katowice is for countries to come together to agree a “rulebook” in order to achieve the Paris goals and respond to the recent dramatic report from the IPCC on how to limit global warming to 1.5 degrees. The Paris agreement doesn’t become operational until 2020, despite being signed by 180 countries in 2016. Since President Trump announced that the US would withdraw from the Paris agreement (note that the US can’t actually withdraw formally until 2020), China and the EU have been at pains to present a united front on climate change, as a way of filling the gap left by the US. Camila Born, senior policy adviser at the climate think tank E3G, argues that this partnership could make the talks a success. But Wagner, who has attended UNFCCC conferences since 2006, is keen not to talk up a potential EU-China alliance too much. “We [meaning the EU] do not see ourselves as a stand-in for the US. But we see ourselves as a progressive voice,” she says. She’s also mindful of the potential for a so-called “coalition of the lowest common denominator” to develop between the US and China, where both superpowers agree only limited measures to address climate change. “It’s always unfair to compare UNFCCC talks of any kind with the Paris talks because that was an exceptional conference,” she argues. Germany has experienced its own brush with populism in recent months, with the right-wing, Islamophobic Alternative for Germany making gains in October’s Bavarian elections. Wagner says her team of negotiators are removed from the concerns of domestic politics.